Do you have a warehouse? Feel like you are spending way too much money on keeping it running, yet you cannot put everything in? Is its efficiency lacking? Even though you will reap many benefits of investing in warehouse space, you will also need to work hard on maintaining it and improving its efficiency. The most common problem that people face is they just don’t know what to do with space – or they don’t know how to use it in a smart way. Instead, they waste it or stuff it with useless things and items. And this is exactly what separates good warehouse owners from the bad ones. 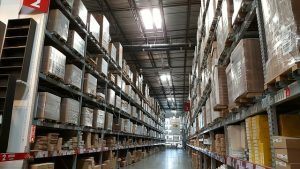 Luckily, there are a couple of things that you can do which will go a long way in maximizing your warehouse space utilization. Learn what they are (and became the best warehouse owner you can be) in this article! As we already mentioned in the introduction, using your warehouse space in a smart way is beneficial to running a good warehouse. This comes in many shapes. First, and the obvious, is that you will have more room for your goods. The second reason is that by upgrading the space utilization in your warehouse, you are speeding up the flow of it. The goods will be coming in faster – and going out faster as well – when you are bringing your warehouse to its highest potential. So what are the things to do? What can you do in a warehouse? Learning about vertical space is a huge step in maximizing your warehouse space utilization. Picking up the right containers can be a beneficial move for your warehouse. The visibility of items is of utmost importance to both cargo import and cargo export. Getting efficient workers will boost your warehouse efficiency as well. 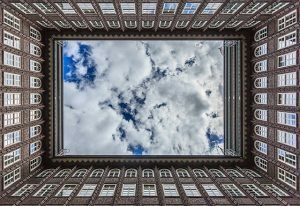 One of the most important skills that you can get in the fight for maximizing your warehouse space utilization is learning how to use the vertical space. When walking through all the shelves of your warehouse, remember to look up! How much room is there between the tops of the shelves and the roof of your warehouse? This is what professional Japan movers call vertical space. Figuring out ways in which you can use this space to the fullest will go a long way into making your warehouse efficient. You can either add more shelving units on top of the ones already there or think of other methods for using this space well. If you do this well, you will notice just how much bigger your warehouse can become! A big part of maximizing your warehouse space utilization is figuring out what containers you will use. For example, imagine you are using huge boxes to store your goods. Are these filled up to the brim? If the answer is no, then you are getting a lot of unused space in those boxes – a space that you can use for other things. By replacing these containers for smaller ones, or putting more items inside them, you are ensuring you are using all your warehouse space. The best way to improve warehouse efficiency is to use containers of various sizes and shapes. This way, you will know you are covering all your bases when it comes to the items inside the boxes. Remember, sometimes you will sacrifice the containers being neatly stacked in order to gain more space inside them – and this is okay. Finding the balance between these two is the key to utilizing your warehouse to the fullest. 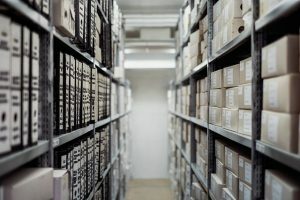 There are a couple other things to consider when you are working towards using your warehouse well. One of these is how fast the items flow from their entry point to them exiting from your warehouse. Simply put, if the item stays for a short time, this leaves more space in your warehouse for more items. This way, you are also maximizing your warehouse space utilization. So, remember to always keep your items in sight. It should be easy for your workers to find them when looking into an item category. Otherwise, your item can get lost behind other boxes, and thus it will only waste time for your workers. In some extreme cases, your workers might not even be able to find the item, and it can stay hidden for a long time. When this happens, it is using up space you can use otherwise. Try to stop this at all costs by improving all items visibility! Improve the flow of your warehouse. To achieve this, you should also think about organizing your warehouse well. You can consider finding ways to manage your warehouse better as a space utilization as well. Only when your items are in logical groups will your workers find them easily. Small things like these can make a big change in any warehouse. Consider them carefully. The final thing to consider is something we already touched upon – the efficiency of your workers. Not only will you be maximizing your warehouse space utilization by improving the visibility of the items, but also by training your workers. Organizing meetings and training where your employees can learn about both the organization and safety of your warehouse. This way, you can be sure you are using warehouse Japan that is safe and efficient. Also, you will get a warehouse that uses its space well.